There are times when two things you love just mesh together perfectly. It is attempted in entertainment all the time in the blending of art styles and storytelling devices, be it movies, TV shows, comics, you name it. When it does, and it works, it’s a treat, and it’s wonderful. 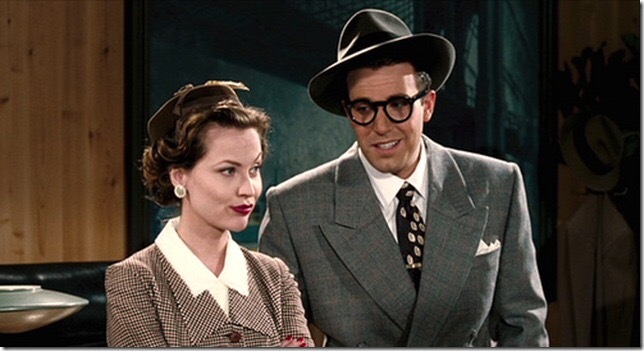 In my case, if you couldn’t already tell, I kinda like Superman stories, but among other things, I’ve also acquired a taste for classic films over the years as well, most notably film noir, the shadowy, dark-looking style of movies from primarily the 40s and 50s. From Double Indemnity to The Big Sleep to In a Lonely Place, I’ve grown to enjoy this type of film a great deal, which often follow loser detectives, femme fatales, or just normal people in distressed situations trying to claw their way out and into the real world again. The movies almost always feature “protagonists” who drink, smoke, and are world-weary. When in black and white, the movies take their tone from German expressionism of the 1930s, or the groundbreaking Citizen Kane, which had all of the above and pioneered film techniques using heavy shadows, crazy camera angles, and lots of shades of gray both literally and metaphorically throughout the film. When I first saw Hollywoodland in theaters, I was blown away by how the film seamlessly blended the story of George Reeves, television’s first Superman, into a modern day film noir. Although the details surrounding Reeves’ death in 1959 aren’t much of a topic of conversation these days, the irony of Superman himself- the ideal hero and archetypal man- shooting himself remains a tremendous shock. His was a story of desperation amidst not only a prosperous time in America but in Reeves’ own career as well. We know there was boozing and backstabbing, and all kinds of other Hollywood gossip in his story. The result is a perfect vehicle for a film noir movie and a fascinating piece on not only George Reeves’ life but Hollywood’s ailing golden era as well. I decided to watch it again last week, and found that the movie actually holds up pretty well. 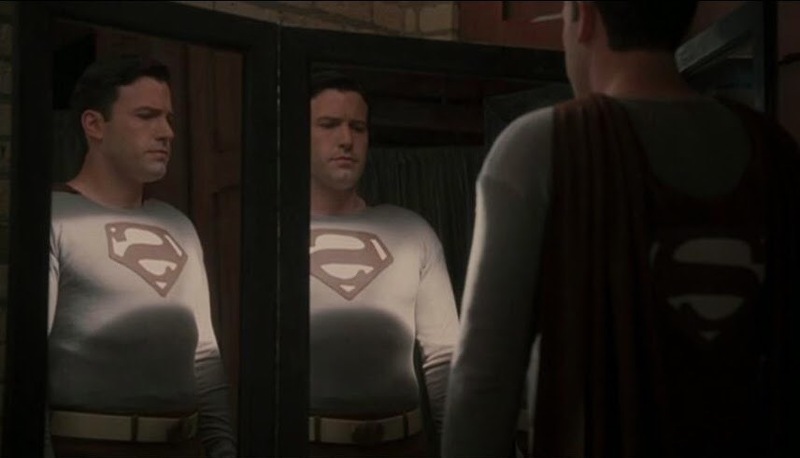 To begin, Ben Affleck is perfect as George Reeves. 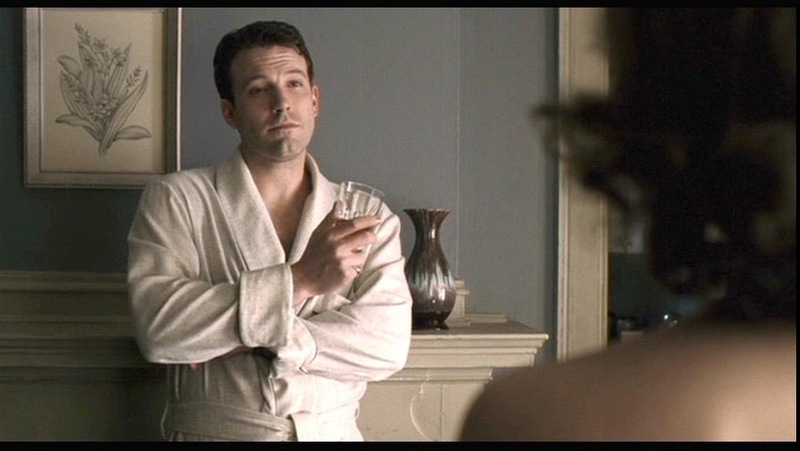 As an actor, Affleck had been a leading man in so many movies prior to this point that you believe he has the necessary charisma and big personality it takes to play a guy who would play Superman. 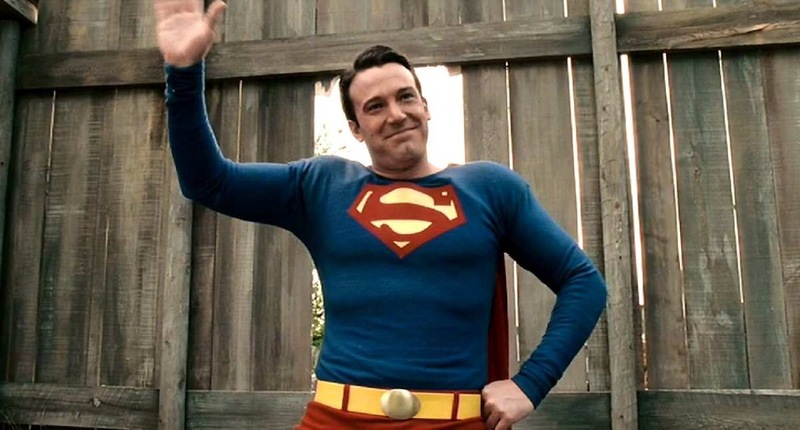 Apparently, Affleck wanted to do a character that was completely against type for him and even satirized some of the big personalities he had played in films prior to this. 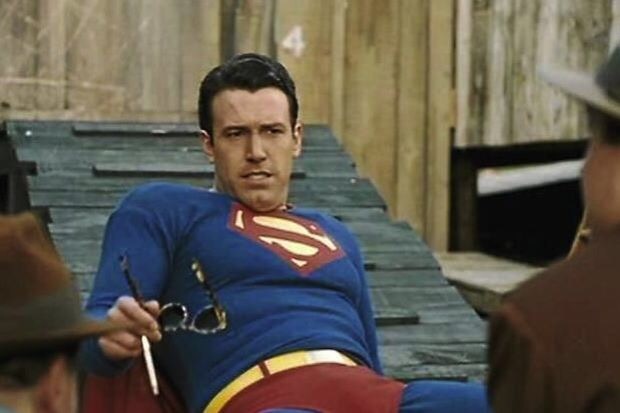 To become the character he watched all 108 episodes of The Adventures of Superman, listened to Reeves’ voice on CD for hours, and gained 20 pounds and had some prosthesis done to play the part. 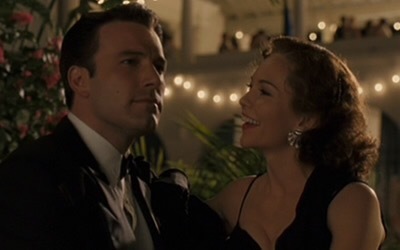 He’s still Ben Affleck, but you suspend disbelief enough in this film for the movie to work. The supporting cast is great as well, with Diane Lane, Bob Hoskins, and Robin Tunney, among others, providing great performances throughout. This movie actually feels like it takes place in the 1950s because the actors don’t look like they’re happy to be wearing fun costumes from a different time period and play make believe. Their performances are subtle, as are the sets, cars and everything else included to zap you back to a different time, not unlike great movies that take place during that era, like Driving Miss Daisy or LA Confidential. The movie could easily have fallen in love with itself and gone wrong here right off the bat, being too “self-aware,” but thankfully avoids this pitfall. The place where the movie does fall apart for me a bit though, is actually Adrien Brody’s character, Louis Simo. 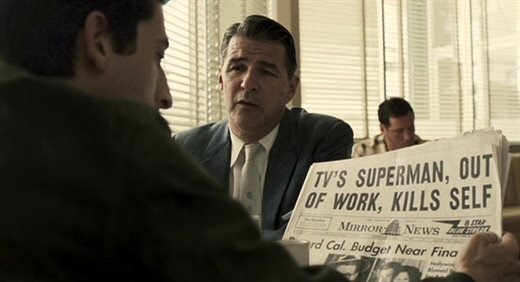 Brody is normally a fine actor but unfortunately is given a tremendous amount of cliches for his character, which here is little more than a cardboard cutout of a film noir private eye. All women in the film hate him. He annoys people with his questions. He’s Italian. He has a New York accent (never explained). He gets beat up by the mob and has the obligatory bandage across his nose for the last half hour of the movie, and so on. You could have replaced his character with any other detective in film noir and it would have been the same thing, which isn’t bad in and of itself, but here it feels like an impression of a detective, instead of playing a detective. The way he is written brings the movie down, interrupting other genuinely powerful, gripping moments. All in all, I still liked this movie a lot. It was an enjoyable look at Hollywood of the 50s and a time when the Superman phenomenon was still very much taking off, conquering TV screens and kids’ imaginations. It works as film noir very well, even if it does contain a lot of cliches (except for the main character’s ending, which I’ll leave to you to find on your own). The characters are not nice people, they are directionless in life and languish in their circumstances. If this doesn’t describe Reeves to a ‘T’ by itself, I don’t know what does. The movie works. Be forewarned that this is not a movie that is targeted torwards Superman fans. 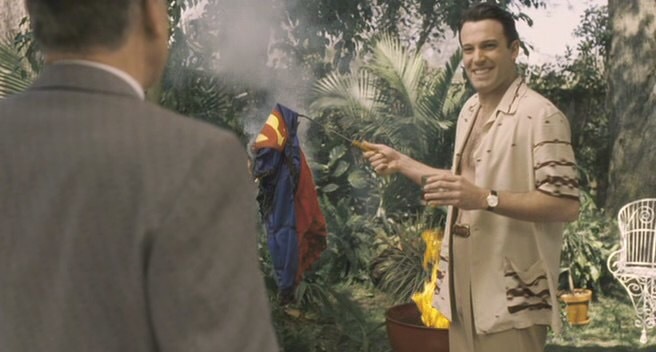 Warner Bros even wanted references to Superman in all the promotional materials to be almost nonexistent so as not to interfere with their marketing campaign for Superman Returns, released earlier that same year. Nevertheless, if you are a fan of the character at all, even if you didn’t grow up with the TV show in the 50s, or in reruns on Nick at Nite like I did, you still appreciate the story of George Reeves and the tragedy of how he ended his life. All in all, Hollywoodland is a good exploration of an actor who played our favorite superhero and what drove him to his end, even if the movie, like all “true story” Hollywood movies, does take a few liberties with it along the way. Worth checking it out if you haven’t already.